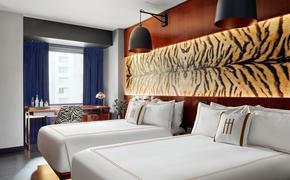 The Kimpton hotel brand is poised for worldwide expansion over the next three to five years. InterContinental Hotels Group has just announced that it plans to open more than 25 Kimpton hotels across 20 new global destinations including Mexico City, Paris, Barcelona, Bali and Shanghai. “We have flagship hotels now open in London and Amsterdam, a series of fantastic hotels slated to open this year including our first in Asia and a growing pipeline of projects in key markets around the world,” said Maalouf. Among the upcoming marquee hotel openings are new properties in Taiwan, Scotland, the Caribbean and Indonesia. Founded in 1981 in San Francisco by Bill Kimpton, the Kimpton Hotels & Restaurants brand is known for its heartfelt approach to hospitality, which has been translated into unique, design-led properties in city centers, beachside resorts, mountain getaways and more. IHG acquired the brand in 2015 and has since driven Kimpton’s global growth beyond the U.S. That has included IHG opening the first Kimpton hotel in the Caribbean, Kimpton Seafire Resort + Spa in Grand Cayman, and also the first hotel outside of the Americas, Kimpton De Witt in Amsterdam. In addition, a flagship property for the brand, Kimpton Fitzroy London was debuted in the UK. Poised for a Spring 2019 unveiling, Kimpton Da An is an urban sanctuary in the heart of Taipei, bridging the historic ZhongShan and DaTong districts with the modern, upscale Xinyl district. The hotel’s interior design will celebrate the area’s heritage with artistic modernity and traditional craftsmanship. Expect lush botanicals, light-filled spaces and a restaurant—The Tavernist offers playful modern cuisine led by former Noma Chef, James Sharman. 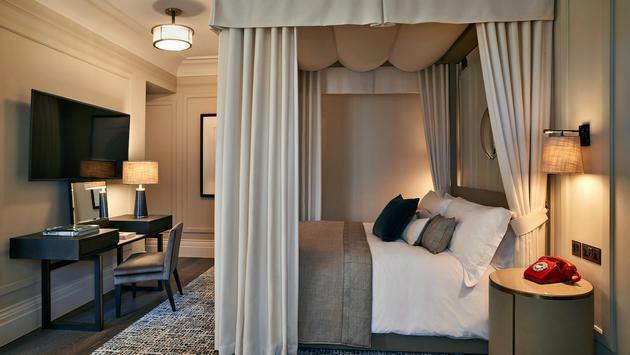 Opening in Spring 2019, Kimpton Charlotte Square Hotel will consist of seven interconnected Georgian-style townhouses that blend traditional glamour with modern-day Scotland. Overlooking a beautiful private garden square, located in the heart of the city center, everything from the glass-topped central courtyard to the locally-loved Middle Eastern restaurant provides an ideal haven in the Scottish capital. Marking Kimpton’s second Caribbean resort and slated to open in early 2020, Kimpton Kawana Bay will be a 220-room luxury hillside retreat located between tropical rainforest cliffs and the world-renowned Grand Anse Beach. All rooms feature spectacular ocean views, and a number of suites will have private pools. The name of the resort itself, Kawana Bay, pays homage to the area’s native leatherback turtles, named “Kawana,” a fixture on the Spice Island.